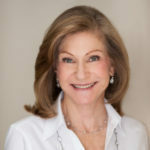 Having lived on New York's Upper East Side for more than 40 years, Carol Terner Lederman skillfully combines her vast knowledge of the city with her well-honed organizational and communication skills. She has represented various sellers at marquee addresses along Park and Fifth Avenues and is known for her expertise in the most exclusive co-ops. In addition to having a proven track record along the Upper East Side, Carol has helped clients throughout the city find or sell their homes.